About EMB Statistical Solutions, LLC: A CRO for the pharmaceutical and biotechnology industries. EMB was formed in 2000 when associates from a large global pharmaceutical company came together with a university-based CRO. Each associate has significant experience -- many with two decades -- in the analysis and management of clinical trial studies. As an associate-managed company, EMB utilizes a lean structure designed to minimize bureaucracy and optimize workflow. Biostatisticians, programmers, data managers and support staff have a significant stake in the company and its success. Since we have had zero staff turnover, our clients enjoy consistent, high quality staffing from beginning to end of each project. At the core of our philosophy is a team approach, where each team member follows a study from beginning to end. For us, this method creates a stable workgroup with strong lines of communication, and a clear overview of project characteristics. This assures a more timely and effective flow of effort. 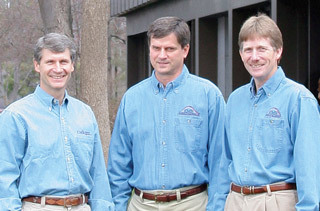 (From left) Mike Mosier, Bruce Morrill, and Ed Brown served as the original management team at the time EMB was formed, and the company takes its name from their first names. What sets our company apart is that – even after more than a decade of steady growth – Mike, Ed, and Bruce continue to work directly with our clients. 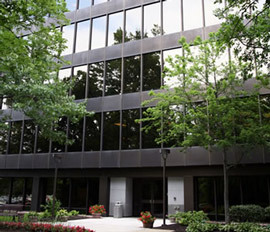 Our offices are located in Building 55 at Corporate Woods in beautiful Overland Park, Kansas. On the southern edge of the Kansas City metropolitan area, we're approximately 20 minutes from downtown Kansas City and 40 minutes from Kansas City International airport.